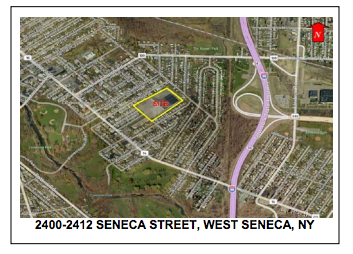 Buffalo, NY – DePaul Properties, Inc., has purchased 10 acres of land that once housed a Hills Department Store at 2412 Seneca Street in the Town of West Seneca, NY from Crossroads West Seneca LLC The sale price was $1,200,000. Plans call for DePaul to demolish the existing building on-site and build a 102,000sf, three-story apartment complex, with income restrictions for tenants. The building would include 96 one-bedroom apartments and four two-bedroom units, all with kitchens and bathrooms. All units would be for individuals earning less than $27,000 a year or families with sliding income caps topping out at $38,000 or less for families of four, based on a maximum of 60 percent of the area median income. The cost of the project is estimated to be approximately $23,000,000. 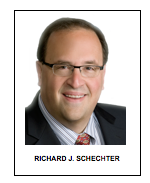 Richard J. Schechter of Pyramid Brokerage Company, a Cushman & Wakefield Alliance Member, handled the negotiations for the transaction.